Wing Chun Kung Fu is best known as the martial art made famous by the late Bruce Lee, and the only martial art developed by a woman. The history of Wing Chun has two versions - the legend and the documented. The legend is the word of mouth teaching from Sifu to disciple. The documented is the historical version of the same lineage without specific names. Secrecy was important to protect the Wing Chun Kung Fu system from the fascist regime. The brief version portrays the historically accepted interpretation, while the extended version illustrates the record by the last conceded Grandmaster of Wing Chun, Yip Man. During the Ching Dynasty over 250 years ago, the Manchus ("the minority") ruled the Hans ("the majority"). The Shaolin Temple became a sanctuary in preparation of a revolutionary army. Five of China’s grandmasters gathered at the temple and conceded that the martial arts of the time took too long to master, typically between 15 to 20 years. They sought to develop a new style, one that would have a shorter training time. Appropriating the most efficient techniques from each style, the grandmasters designed a program that developed an efficient martial artist in five to seven years. Fearing the skills of these fighting monks, the Ching Government burned down the temple and sought to kill everyone inside. The temple’s principal nun, Ng Mui (pronounced Wu Mei), escaped with her high level of martial art skills. She fled to a small village and met Miss Yim Wing Chun, whom the style is named after. Wing Chun then passed the system to her husband. The Wing Chun system was kept in secrecy and refined progressively through various fighting experiences. Entrusted over the years exclusively to family members or close friends, the Wing Chun system continued in this manner until 1949 when Grandmaster Yip Man fled the Communist takeover in China and settled in Hong Kong. Due to financial necessity, he opened the first ever Wing Chun school. 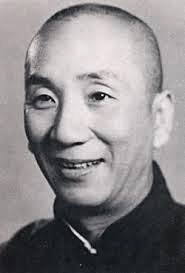 Yip Man taught from 1949 until close to his death in 1972 at the age of 79. During this time period, he instructed many students in the art of Wing Chun, including the late Bruce Lee. In 1959, Bruce Lee returned to the United States from China and astounded many with his techniques and theories of self defense that he developed during his Wing Chun training. Extended Version as told by GrandMaster yip man. The founder of the Wing Chun Kung Fu System, Miss Yim Wing Chun was a native of Canton (Kwangtung Province) in China. She was an intelligent and athletic young girl, upstanding and forthright. Her mother died soon after her betrothal to Leung Bok Chau, a salt merchant of Fukien. Her father, Yim Yee, was wrongfully accused of a crime and, rather risk jail, they slipped away and finally settled down at the foot of Tai Leung Mountain near the border between Yunan and Szechuan provinces. There they earned a living by running a shop that sold bean curd. During the reign of Emperor K’anghsi of the Ching Dynasty (1662-1722) Kung Fu became very strong in the Siu Lam (Shaolin) Monastery of Mt. Sung, in Honan Province. This aroused the fear of the Manchu government (a non-Chinese people from Manchuria in the North, who ruled China at that time), which sent troops to attack the Monastery. Although they were unsuccessful, a man named Chan Man Wai, a recently appointed civil servant seeking favor with the government, suggested a plan. Ng Mui later traveled around the country, but before she left she told Wing Chun to strictly honor the Kung Fu traditions, to develop he Kung Fu after her marriage, and to help the people working to overthrow the Manchu government and restore the Ming Dynasty. After her marriage Wing Chun taught Kung Fu to her husband Leung Bok Chau. He in turn passed these techniques on to Leung Lan Kwai. Leung Lan Kwai then passed them on to Wong Wah Bo. Wong Wah Bo was a member of an opera troupe on board a junk, known to the Chinese as the Red Junk. Wong worked on the Red Junk with Leung Yee Tei. It so happened that Abbot Chi Shin, who fled from Siu Lam, had disguised himself as a cook and was then working on the Red Junk. Chi Shin taught the Six-and-a-half-point Long Pole techniques to Leung Yee Tei, and they shared what they knew about Kung Fu. Together they shared and improved their techniques, and thus the Six-and-a-half-point Long Pole was incorporated into Wing Chun Kung Fu. Leung Yee Tei passed his Kung Fu on to Leung Jan, a well know herbal doctor in Fat Shan. Leung Jan grasped the innermost secrets of Wing Chun, attaining the highest level of proficiency. Many Kung Fu masters came to challenge him, but all were defeated. Leung Jan became very famous. Later he passed his Kung Fu on to Chan Wah Shan, who took me and my elder Kung Fu brothers, such as Ng Siu Lo, Ng Chung So, Chan Yu Min and Lui Yu Jai, as his students many decades ago. It can thus be said that The Wing Chun System was passed on to us in a direct line of succession from its origin. I write this history of the Wing Chun System in respectful memory of my forerunners. I am eternally grateful to them for passing to me the skills I now posses. A man should always think of the source of the water as he drinks it; it is this shared feeling that keeps our Kung Fu brothers together.